Washington, D.C. – U.S. Term Limits (USTL), the leader in the national, non-partisan movement to limit terms for elected officials, is gathering support from state lawmakers across the nation. Its mission is to get 34 states to apply for an amendment proposal convention specific to term limits on Congress. 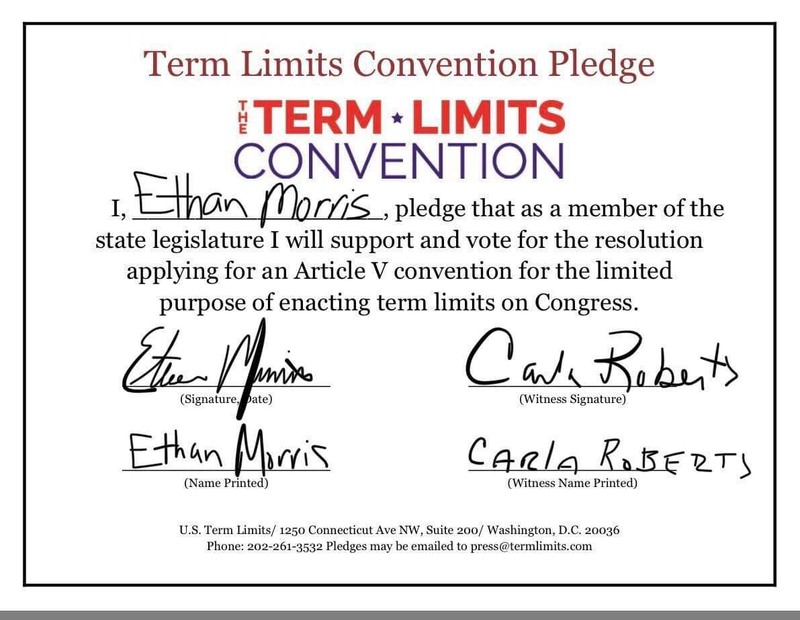 West Virginia house candidate Ethan Morris (District 36) has committed support for term limits on Congress by signing the Term Limits convention pledge. 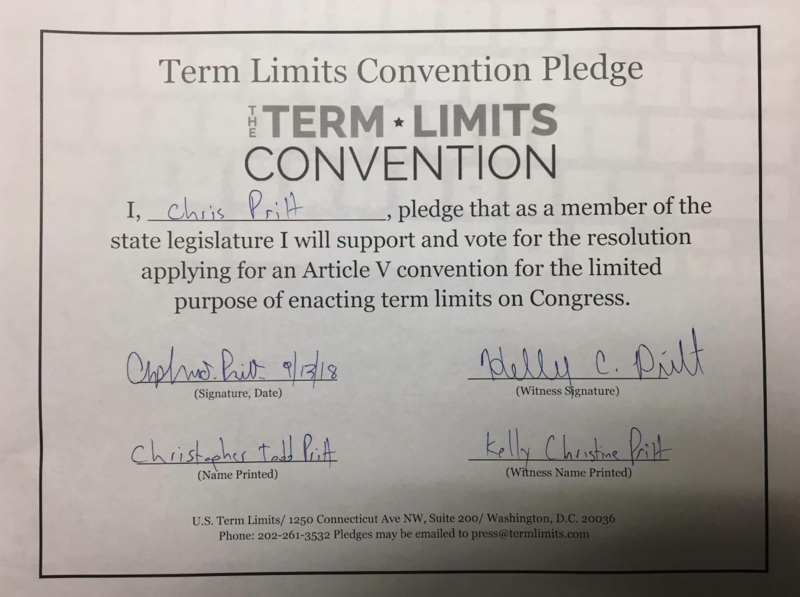 Previously, candidate Chris Pritt signed the pledge. View Morris’s signed pledge here. View Pritt’s signed pledge here.